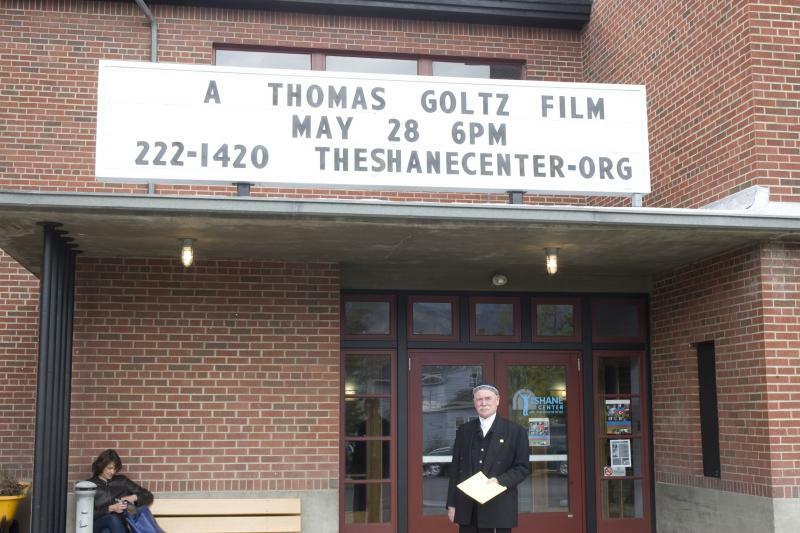 Thomas Goltz - VIDEOS, documentary FILMS AND YOU-TUBE STUFF Over the years, in addition to being a print journalist, I have also engaged in other media. Historically, this meant TV. My work in this regard has ranged from being a fixer for German television in Turkey in the 1980s, to stints (or sales of raw material that I shot) with Turkish, Japanese, Russian and UK/Euro TV to American outlets such as ABC/Nightline and CBS/60 Minutes. Subjects have been as varied as the (ridiculous) search by Christian Fundamentalists for Noah's Ark atop Mount Ararat in eastern Turkey (where I worked as a 'fixer' for the 700 Club) to the hard-core (even war-pornographic) war in Chechnya. Along the video-way, I have also produced some feel-good pieces such as 'Mugham in Montana' (basically making a music video about Azerbaijani art music touring the American West) and a wonderful 'academic' piece resulting from the First Ever Diplomatic Simulation of the Organization of the Black Sea Economic Conference at (!) Montana State University, Spring 2010. My most recent piece is "On Aggregate: Champions Without A Home. "It is the saga of the Qarabag-Agdam 'Horsemen' refugee football team from Azerbaijan that I produced in 2014/15, and is so special that it has its own button on the main Home bar on this web site! Over the years, in addition to being a print journalist, I have also engaged in other media. Historically, this meant TV. My work in this regard has ranged from being a fixer for German television in Turkey in the 1980s, to stints (or sales of raw material that I shot) with Turkish, Japanese, Russian and UK/Euro TV to American outlets such as ABC/Nightline and CBS/60 Minutes. Subjects have been as varied as the (ridiculous) search by Christian Fundamentalists for Noah's Ark atop Mount Ararat in eastern Turkey (where I worked as a 'fixer' for the 700 Club) to the hard-core (even war-pornographic) war in Chechnya. Along the video-way, I have also produced some feel-good pieces such as 'Mugham in Montana' (basically making a music video about Azerbaijani art music touring the American West) and a wonderful 'academic' piece resulting from the First Ever Diplomatic Simulation of the Organization of the Black Sea Economic Conference at (!) Montana State University, Spring 2010. My most recent piece is "On Aggregate: Champions Without A Home." It is the saga of the Qarabag-Agdam 'Horsemen' refugee football team from Azerbaijan that I produced in 2014/15, and is so special that it has its own button on the main Home bar on this web site!